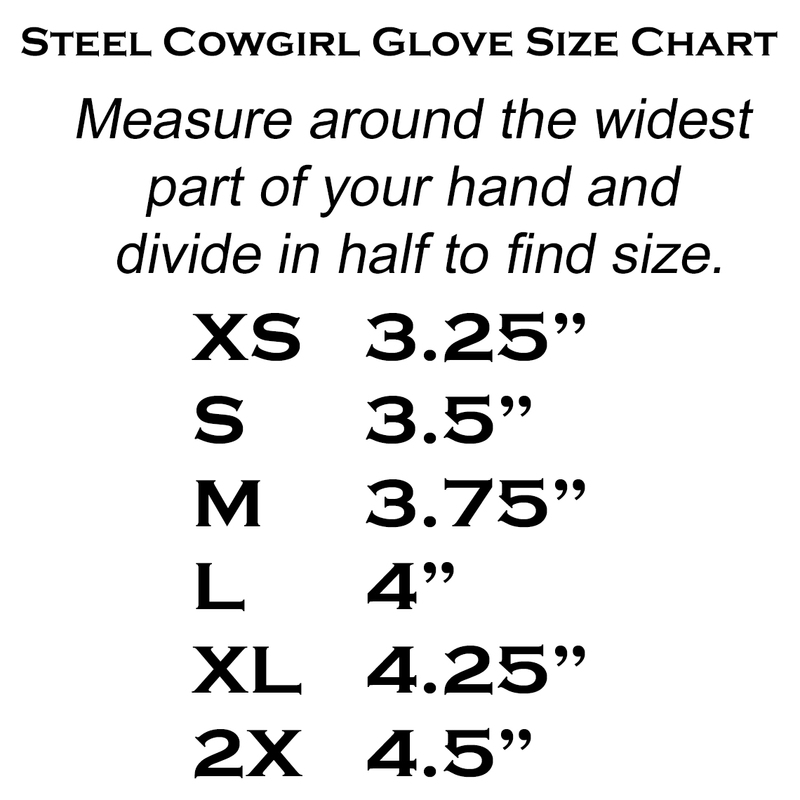 The softest genuine leather, embossed Steel Cowgirl graphics and easy pull-off tabs make these fingerless motorcycle gloves a must have addition to your gear! I made them all black to match any color you feel like wearing and kept the styling clean and classic. True to size, easy fit. * Graphics are protected by copyright laws, unauthorized use is prohibited.